The project included two story office remodels in Buildings A and C, kitchen remodel in Building C, design/build solar parking structure, and provide structural supports for solar panels on the roof of Buildings A. 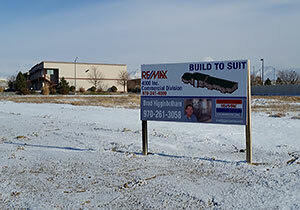 Building A - included a renovation of approximately 2,736 sf two story office in the existing shop area in an existing concrete tilt up building. 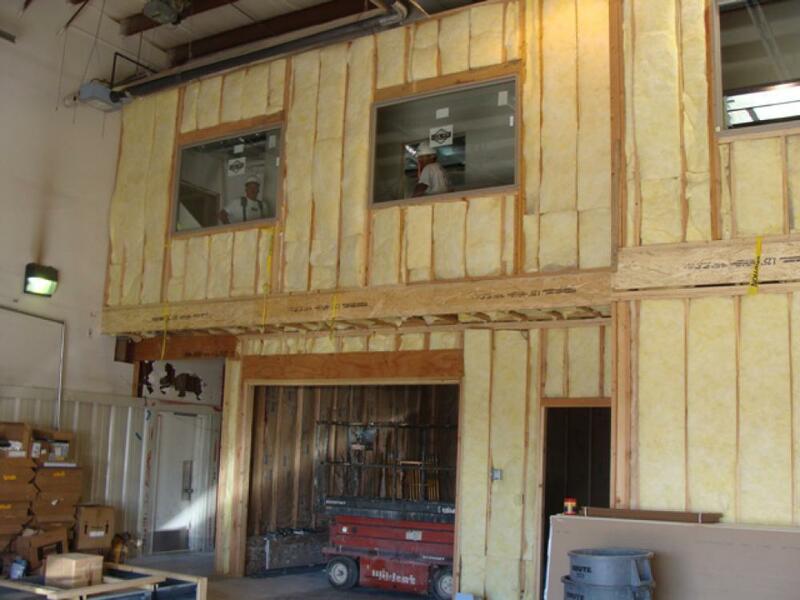 The office area was constructed using wood framing, floor joist, and masonry block blast wall in-between the office and shop. Installing a full break room and gang restroom with shower by removing the existing concrete slab for proposed plumbing. The office area was finished with vinyl composite tile, acoustical ceiling, heating/cooling units, and electrical. A complete fire sprinkler system throughout the entire office and shop approximately 10,500 sf and required an open street cut to tap into the fire main and bring it into the building with a fire riser. This project required an egress exit from second floor, completed by installing a man door in the exterior wall of the building and installing steel stairs with railing. Building C - included a renovation of approximately 3,246 sf two story office in the existing shop area in an existing pre-engineered building. 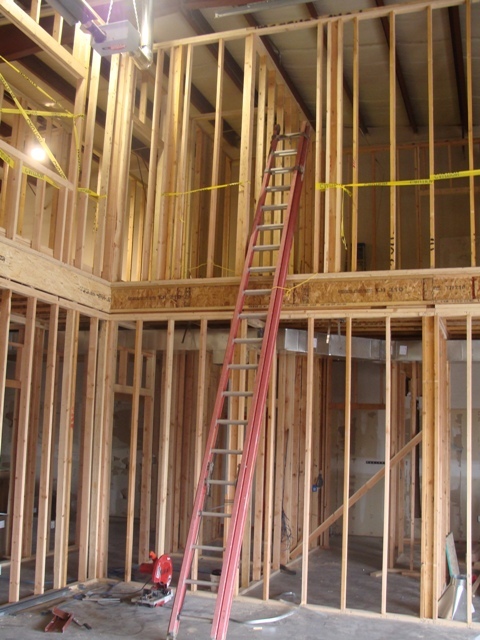 The office area was also constructed with wood framing and floor joist. The scope included completing an elevator pit, shaft, and roof patch for Owner provided elevator. The office area was finished with carpet, vinyl composite tile, acoustical ceiling, heating and cooling, and electrical. This project also required an egress exit from second floor, completed by installing a man door in the exterior wall of the building and installing steel stairs with railing. Kitchen Remodel - included renovating the existing kitchen and adjoining office by removing the common wall, all existing flooring, casework, counter-tops, drywall and plumbing. This full finish kitchen was completed with new drywall, paint, flooring, casework, counter-tops, plumbing and relocating electrical lights, outlets, switches, and appliances. 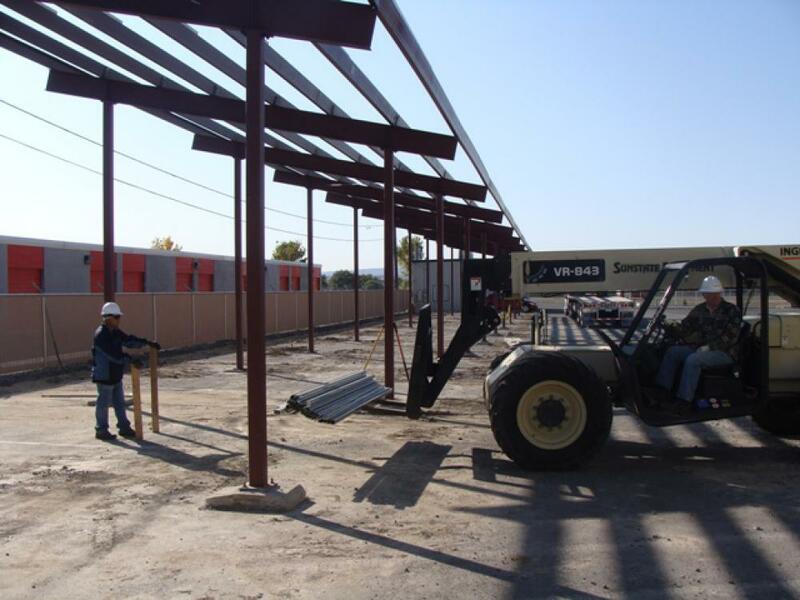 Solar Parking Structure - included furnish and install structural steel for a 25' x 240' parking structure and all necessary underground electrical. 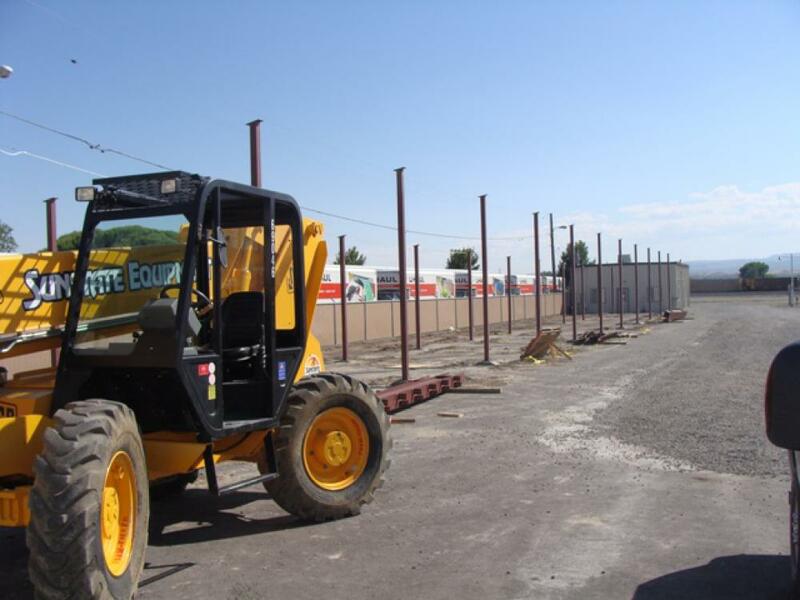 This project was designed by Ford Construction Company, Inc., and pre-planning was taken into consideration to meet city requirements when annexed for the future addition to Building A, installing necessary landscaping and parking lot islands. 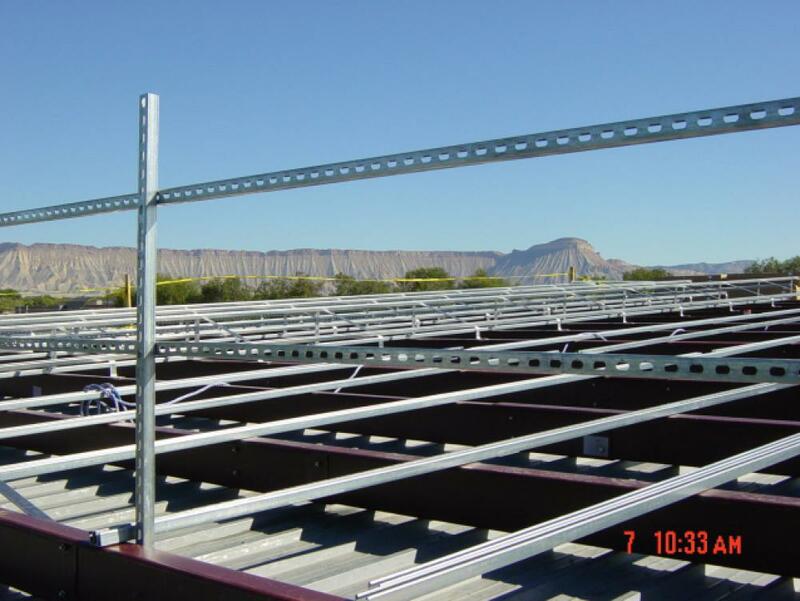 Structural Supports for Solar - included furnish and install exterior roof access ladder and structural steel supports for solar panels to be installed on the roofs of Building A.